Happy Jack's Pumpkin Farm grows the best vegetables in Central Kentucky and is a destination for family fun! Take the family to our farm during Pumpkin season for hayrides, music, pick-your-own pumpkins and more. 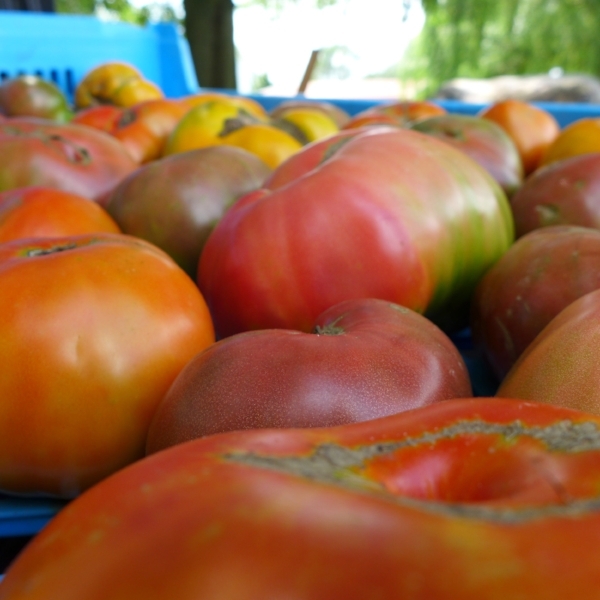 Happy Jack's is committed to providing the freshest local produce in the Bluegrass. In addition to our famous pumpkins, we produce a variety of fruits and vegetables throughout the growing season including: tomatoes, sweet corn, green beans, summer squash, cantaloup, watermelon, winter squash, peppers, onions, cabbage and a lot more. Join us for Pumpkin Season! Our family farm is open to the public each September and October. Take a hayride to our 20-acre pumpkin patch where we raise over 75 varieties of pumpkins, gourds and squash. Visit with farm animals, stroll through the Enchanted Forest or stop by our Farm Stand. There is always lots to do at Happy Jack's Pumpkin Farm. In addition to fresh produce, Happy Jack's produces grass-fed grain finished beef, honey in several sizes, grits and cornmeal. The corn products are milled at the historic Weisenberger Mill located in neighboring Woodford County. Load up the bus and head to our farm for hay rides, you-pick pumpkins, or a visit to the Enchanted Forest. Happy Jack's is a fun place for children to experience life on the farm. Reservations required for group visits. For the safety of our farm animals, we do not allow dogs.